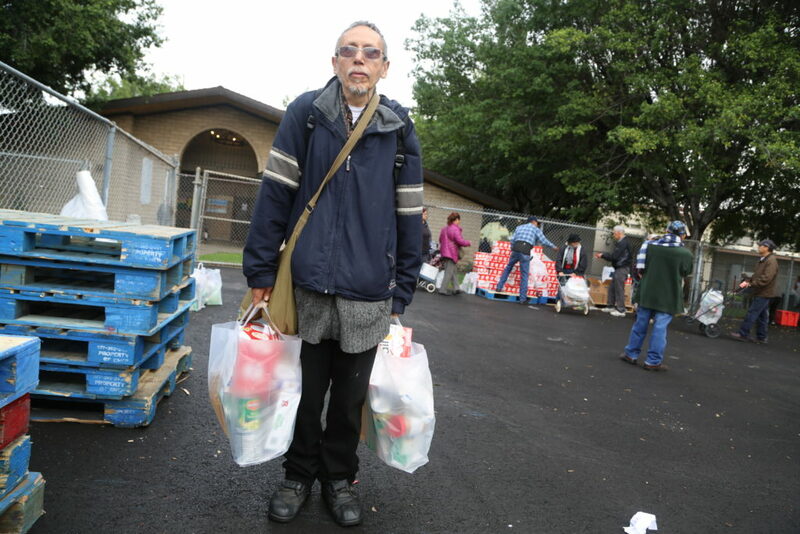 The Commodity Supplemental Food Program provides monthly food kits for low-income seniors. The Commodity Supplemental Food Program (CSFP) is a United States Department of Agriculture (USDA) program which provides monthly food kits to seniors. In 2017, the Food Bank distributed 320,326 food kits (9,446,729 pounds of food) through CSFP to an average of 27,000 seniors every month at 145 sites throughout Los Angeles County. Each kit weighs approximately 30 pounds and contains mostly shelf-stable staples such as milk, beans, grains and canned fruits and vegetables. We are proud to facilitate the largest CSFP in the country and eternally grateful for the dedicated volunteers who make this work possible. Click here for Patricia‘s story. Click here for Juan‘s story. If you wish to file a Civil Rights program complaint of discrimination, complete the USDA Program Discrimination Complaint Form (PDF), found online at http://www.ascr.usda.gov/complaint_filing_cust.html, or at any USDA office, or call (866) 632-9992 to request the form. You may also write a letter containing all of the information requested in the form. Send your completed complaint form or letter to us by mail at U.S. Department of Agriculture, Director, Office of Adjudication, 1400 Independence Avenue, S.W., Washington, D.C. 20250-9410, by fax (202) 690-7442 or email at [email protected].